NEW ARRIVAL! 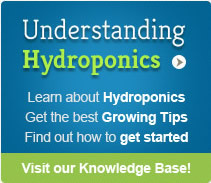 General Hydroponics Flora Range now available online and in-store. The Original Flora Series from General Hydroponics is still regarded as one of the best and most versatile nutrient formulations. It is still the nutrient of choice used by universities and researchers worldwide. Buy yours Today!